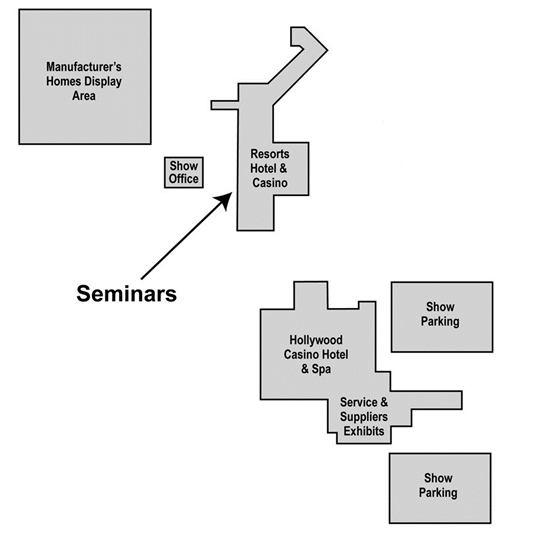 All seminars will be held at the Resorts Casino in the Magnolia Room. This area is located on the second level of the casino. All service and supplier exhibits will be at the Hollywood Casino and Hotel. The exhibits will be located in the grand ballroom. Shuttle bus pick up delivery point to the manufacturers exhibits will be located in this area. You can also download them by clicking on the buttons below!